Phoning is not without its difficulties in open-plan offices. Standard calls are straightforward, but things are different if the conversation starts to involve complex business issues or private details. And anyone still using a corded handset will need a lot of skill in phrasing things. In the case of calls with delicate content, you have to be able to converse such that the corresponding key words do not get mentioned. The alternative is to bear around the bush or convince the person at the other end to talk about things later. 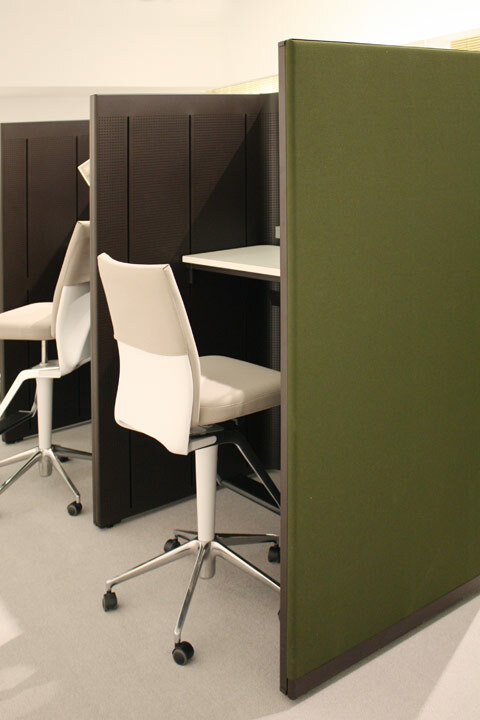 If the person taking the call has a workstation on the outer periphery of the office, then he can perhaps turn towards the wall or window for a little more privacy. Those with portable phones have things somewhat things somewhat easier. 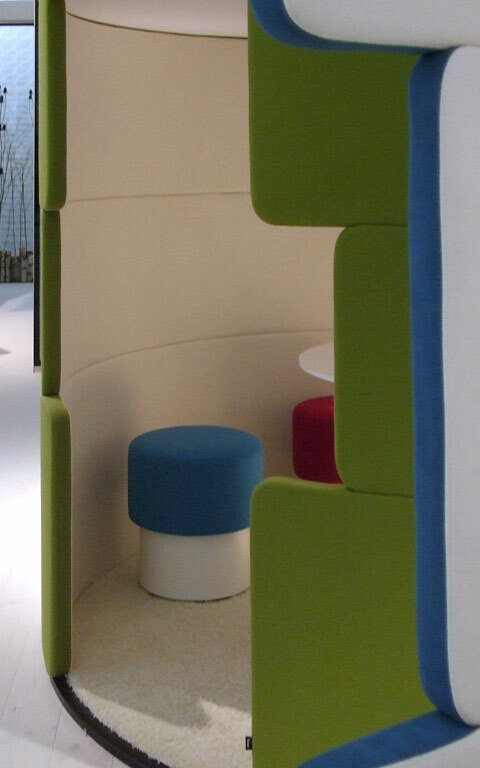 As they can simply take the phone to the nearest meeting room that is free or into the corridor with them - which is not to underestimate how corridors can amplify sound. If things are really desperate, then the only option may be to exit the building, phone in hand. 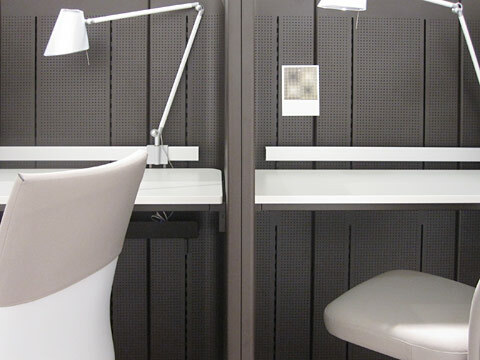 Contemporary offices are as open as possible. Networking and communication shape the face of the professional world today. Teams work on platforms together, close contact between working groups ensures a constant flow of information. And with so much openness and dynamism, you still have to tread that thin line between communication and concentration, to guarantee confidentiality as a higher good, and minimize noise, which is such a source of stress. 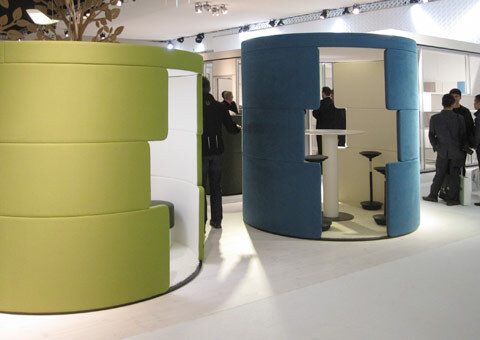 A room's acoustics can be improved by curtains, carpets, suspended ceiling, wall paneling and mobile partitions. 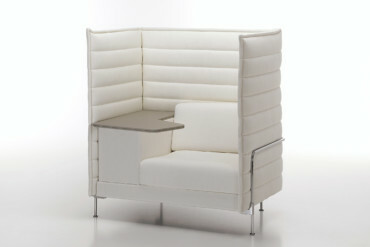 What tend to catch the eye in this context are above all those items of acoustic-dampening furniture with the typology of which designers have toyed in recent years in a very entertaining manner: "Workbay" is probably the very first office chair to come with something resembling a hairdresser's hood; two "Alcove Highbacks" placed opposite each other create a very comfortable and protected space inside the room; "Workshelter" provides asylum for thinkers seeking peace and quiet. 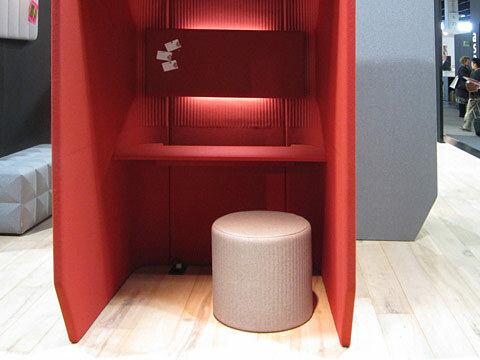 At Orgatec 2010, one of the keynote international trade fairs for office design, several manufacturers addressed the topic of spatial acoustics, offering phone booths for open-plan offices , booths that resembled the public telephone booths of yesteryear. 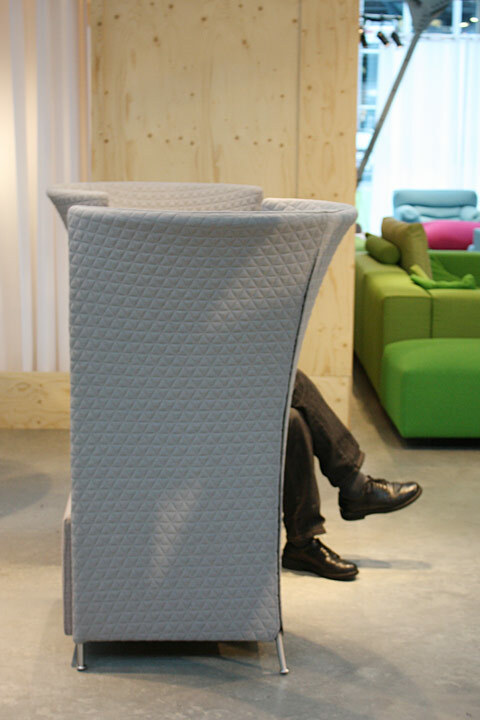 The "#003 PhoneBox" developed by Axia Design for Prooff looks almost exactly like those phone-booth-hoods at upper-body height that used to be omnipresent in the public spaces of railway stations, airports - and trade-fair grounds. "Phoneboot" by Luke Pearson and Tom Lloyd for Bene may have been inspired by an enclosed phone booth such as was a customary part of streetlife not so many years ago. 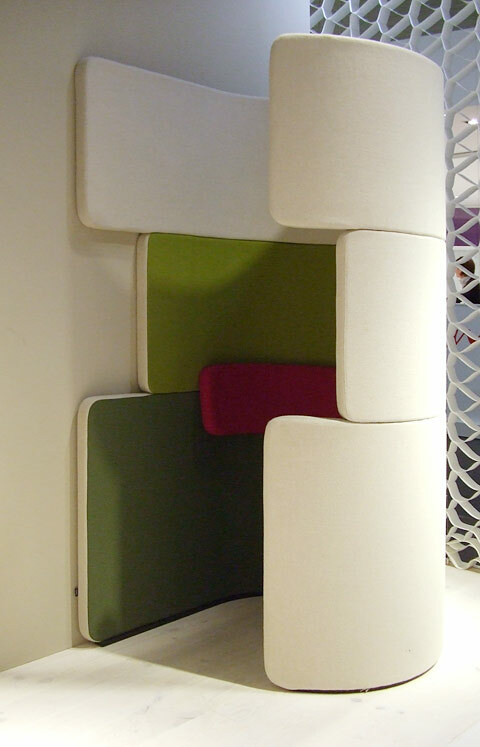 And Ronan&Erwan Bouroullec have dreamed up so-called "Communal Cells" for Vitra, acoustically dampened wall modules that can be used to create cloakroom facilities, printer islands, beverage niches - and phone booths. 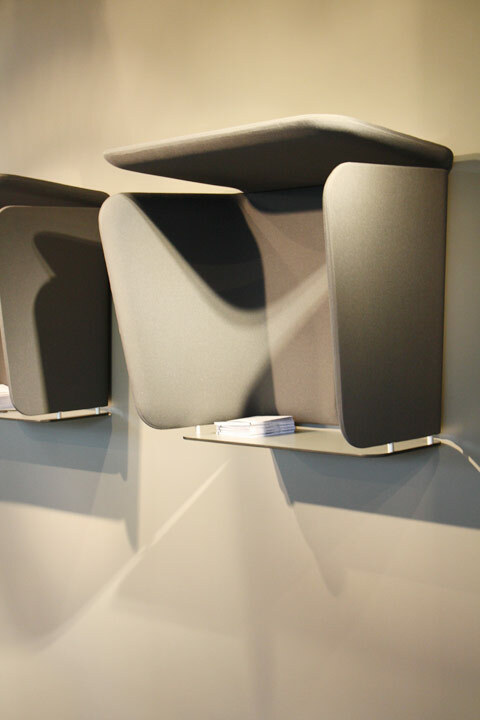 The walls of these novel phone booths tend to be structured like acoustic panels. 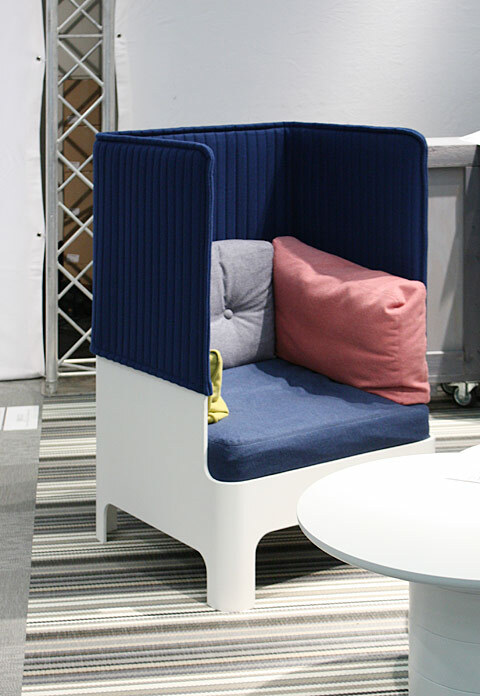 The panels are first covered with foam and then fabric, be it felt or a customary upholstery textile such as Kvadrat's "Cava", "Divina" or "Hallingdal". 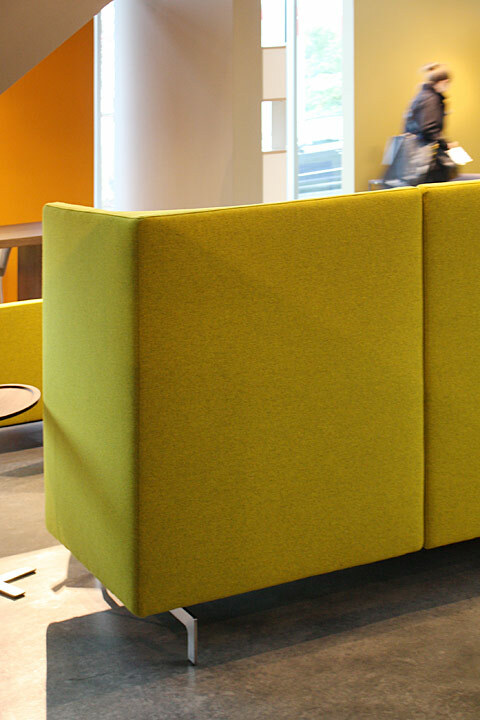 The upholstered surfaces absorb the sound not only within the acoustically-dampening furniture but also lower background noise levels throughout the open-plan office. If one turns toward the back wall to talk, then anyone on the outside will hear a voice, but hardly understand what is said. The triumphal march of the mobile phone may have swept phone booths away from most public spaces - but only for them to crop up again in changed shape in offices. 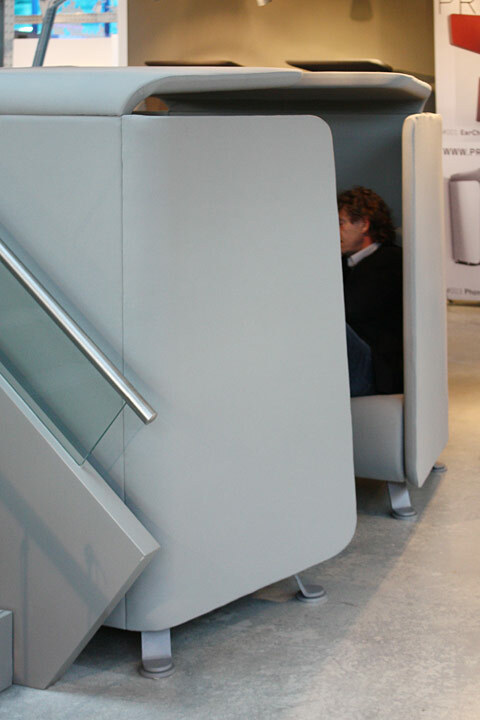 There was a time when they primarily served to house a phone, whereas now they offer a small private space - even if we can expect more to come as regards office acoustics. And the little office phone booths also offer a bit of charm and nostalgia into the bargain. 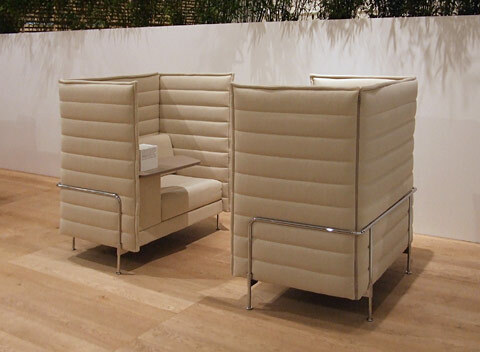 Especially since they are now not a matter of cool steel-and-glass structures, but as indoor versions boasts soft-and-snuggly fabrics.